The success and precision of a part depends on the quality of its mold, but building a reliable, long-lasting tool can take a considerable amount of time — and requires a great deal of accuracy. Also, molds are often one the largest capital investments in a project, so it’s critical that tooling is built right the first time around. This is particularly important in high-volume injection molding projects, where molds can be extremely complex. Below are some important parameters to keep in mind when building a mold to ensure optimal quality and reliability. What Makes a Good Mold? How Does The Rodon Group Make Molds? 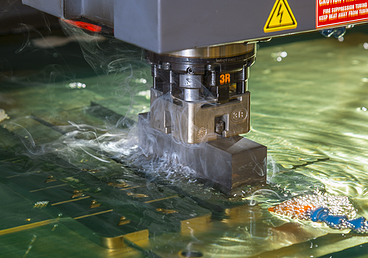 The Rodon team uses only 420-grade stainless steel as our core tooling metal. Paying particular attention to toughness standards, our engineering team crafts every mold with the maximum number of cavities for the highest efficiency possible during production. In fact, we have molds running in today’s production that have been in use for decades. To create a mold, we reverse engineer a design from a supplied part or create a mold based on the customer’s drawing or CAD file. To craft the tool, the team then utilizes EDM equipment, CNC mills, lathes, and grinding machinery. Many of our designers started out as toolmakers, so they fully understand the intricacies of the process, from start to finish. What Sets Rodon’s Molds Apart? Our turnkey manufacturing capabilities encompass design, mold making, and manufacturing, all under one roof. With 60 + years of experience in many industries and many applications, we tend to look at part design and manufacturability a bit differently. Rodon molds are backed by a comprehensive warranty. We believe we fabricate the best tooling in the industry, and our tool warranty is a way to reinforce that claim; as long as the Rodon team is running a Rodon tool, there will never be any repair or maintenance charges to deal with. Rodon’s maintenance program guarantees that you’re ready to go when you need to. Every time a mold comes out of the press, it receives full maintenance. If a customer needs to start running a mold quickly, it’s ready and waiting in storage. Rodon molds are built to last. Some of our active molds are 40 years old, and some have been running continuously for over 15 years. The Rodon Group has been building stainless steel molds for plastic injection molding projects for over 60 years, and we continue to work closely with every client to ensure high value and top-quality results. To learn more about our custom tool making and high-volume injection molding capabilities, head over to our innovative solutions page, or reach out to the team today.